Stirring The Pot with Stefanie Sacks "AMAGANSETT FOOD INSTITUTE"
Amagansett Food Institute (AFI), whose mission is to support, promote, and advocate for the farmers, vintners, fishermen, and other food producers and providers on the East End of Long Island officially has a nest. 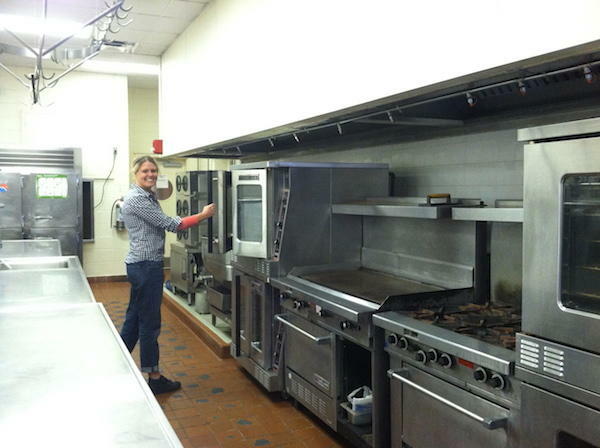 Now located on the Southampton campus of Stonybrook University, AFI’s full service commercial kitchen, called Southfork Kitchens, is the home to Carissa’s Breads, Dock to Dish, Miss Lady Root Beer among many others. The Institute’s vision is to create a community where all farms and food businesses are thriving. Their work goes beyond the kitchen into advocacy, a farm to pantry program, a farmer training collaborative and more. Executive Director Kathleen Masters and AFI's Kitchen Manager Carissa Waechter will join the show to enlighten us about this incredible collaborative, the work they are doing and how you can get involved.